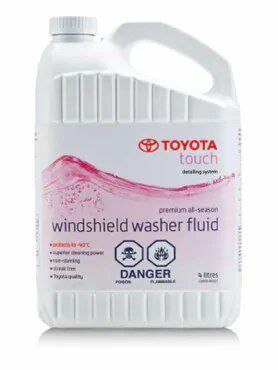 A premium -40°C all-season windshield washer fluid and antifreeze. Helps remove dirt and haze caused by accumulation of exhaust emissions, environmental residue and smog. Great at cleaning road salt, difficult tree sap and smeared insects. Lubricates washer pump and prolongs system life. Cleans and lubricates the wiper blade’s rubber insert. Specially formulated to reduce streaks and promote smooth wiper blade travel. Blended with special penetrating detergent, dispersant and anti-scalant. Prevents freezing of washer system to -40°C. Safe on all vehicle paint and trim finishes.